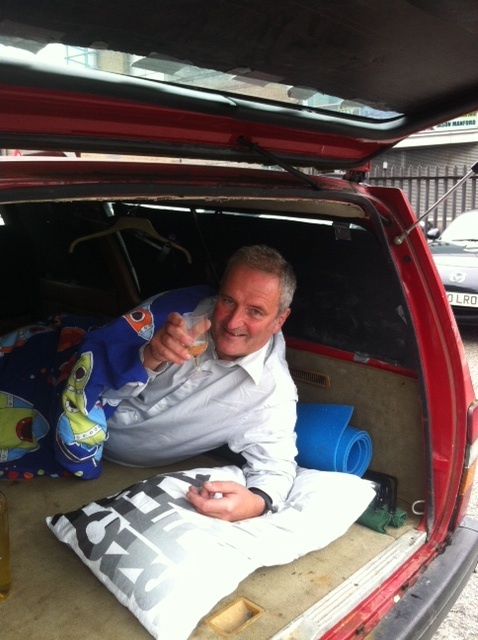 “LOOK at me, fresh as a daisy,” chirruped councillor Jonny Bucknell after another night avoiding expensive conference hotel costs by sleeping in the back of his car in a brewery car park. As revealed here in May – a story later picked up by the Manchester Evening News, the Evening Standard and the Telegraph, happy to be of service, chaps – Bucknell freshens up in the local leisure centre showers before heading to his meetings. When he heard I was catching a late loco back to Euston, he said there was room for one more in the boot. A kind enough offer, but at which point I made my excuses and left. Osser you would have been quite safe in JB’s motor for the night, he is after all a meat eating, beer drinking hetro sexual, however flatulence could a problem with a diet like that! COUNCILLOR. You make it sound like being a vegetarian, teetotaling gay man a problem. I advise you to withdraw your comment.